Q. What color lipstick do you wear? A. You can go here to see all my FAVE bright pink lipsticks! Q. 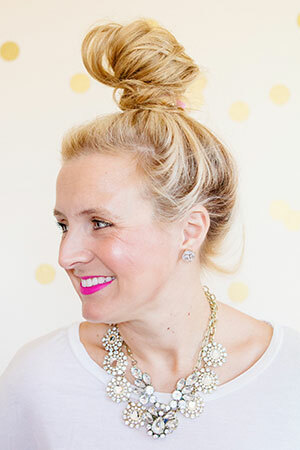 How do you get your fancy top knot? A. You can go here to watch a video on how I achieve my fancy top knot! 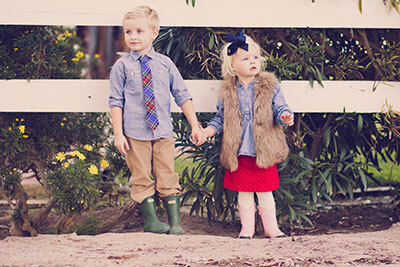 A. Teddy was named after Theodore Roosevelt and Reagan was named after Ronald Reagan. I’ve always referred to them as the “little presidents” and it just stuck! Q. What do you use on your nails? A. I get my nails done in a salon. They are a shellac-type gel. I usually just go with whatever color pops out at me. I pretty much always add glitter! Q. What is the brand/manufacturer of your floors? A. Please see THIS POST for all flooring info. We love our floors and would pick them again in an instant. Q. What is the name of your kitchen granite? A. Our kitchen granite is called Delicatus White.